Phuket Premium Phi Phi Islands Tour by Speedboat offer Natural Park fees already included in the price. Free Pick-Up Service: Phuket Premium Phi Phi Islands Tour by Speedboat offer Free land transfer from Patong, Kalim, Kathu, Kata, Karon, Phuket Town, Kamala, Surin, Bang Tao, Laguna. While the Hotel transfer costs Only 200 Thai Baht extra charge per person from: Chalong, Rawai, Layan, Panwa, Siray Bay. The Transfer Fee will be paid in cash during the tour. Phuket Premium Phi Phi Islands Tour by Speedboat. Departure from Boat Lagoon venue. 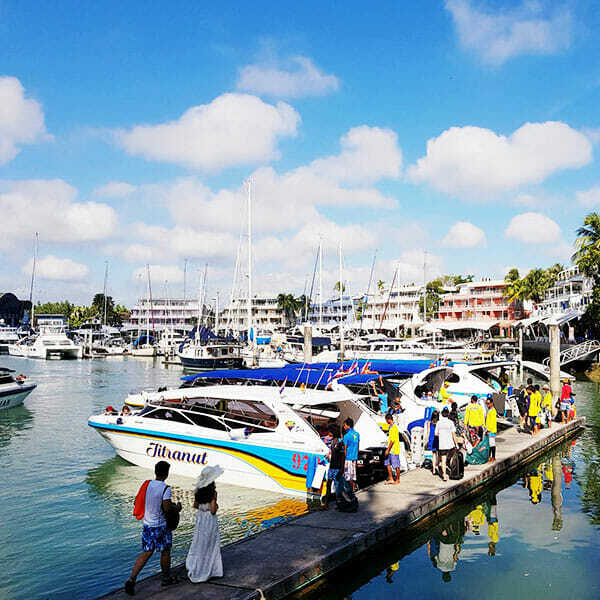 “7.30 AM — 8.00 AM: Transportation”: Pick up from the hotel to the pier Boat Lagoon and begin the day excursion Phi Phi Islands and Khai island premium tour. “9.00 AM — 12.00 AM: Sightseeing and snorkeling”: Briefing and complimentary soft drinks and departure to Phi Phi islands around 9.00 AM. Arrived at Phi Phi islands we begin to explore and unwind at Maya Bay (Maya Bay close from 1st of June to 30 September) and the amazing natural lagoons looking like fabulous swimming pool using snorkeling gear to see vibrant tropical fishes near by Monkey beach shore, Viking cave, snorkeling at the Pileh Lagoon and swimming with tropical plants and colorful marine life, sight view that the very lovely and striking cliffs of this Bay, swim, snorkel and relax. We’ll have a fantastic buffet lunch on shore restaurant around Phi Phi Don, together tasting Fried mixture Veg., deep fried chicken, Thai noodles, and fried fish, squid soup, and Veg. Salads, steam and fried rices, seasonal fruit. 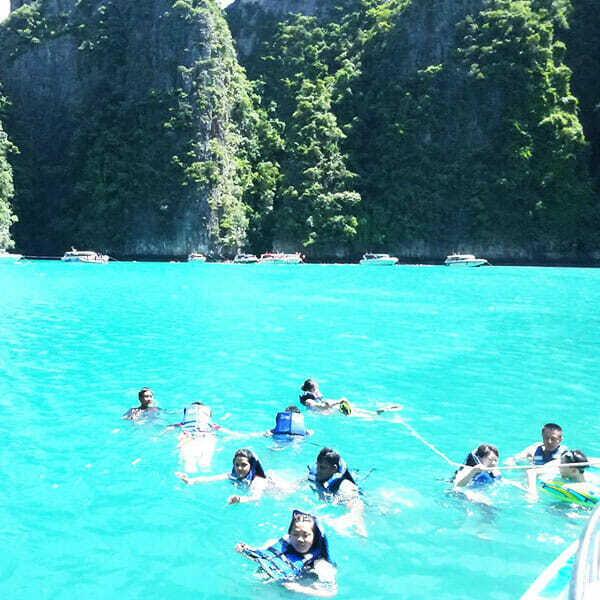 To acquire the finest Phi Phi Island excursion with speedboat head that all of itinerary possible on sight alterations are created so that you can enjoy at best the moments and to get the absolute most from each stop. 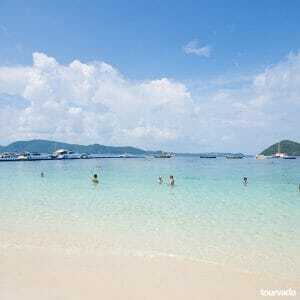 “13.00 AM — 14.00 PM: Sightseeing snorkeling and at,dishes”: Passing into Khai Nok island for snorkeling and unwind the time on the shore, like the beach bars, grills, sunbath. 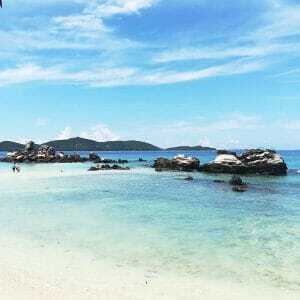 “14.00 PM — 15.30 PM: Relax time”: Free time on the beach for snorkeling and swimming. An amazing moment of the tour is always the part where we enter the Pileh Lagoon for snorkeling and swimming time, with colorful tropical fishes, an incredible background of very beautiful and impressive cliffs. 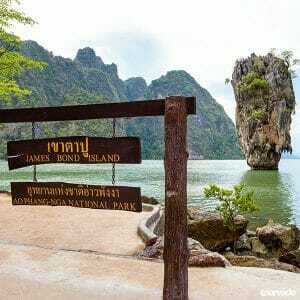 (with Phi Phi Island by Speedboat Itinerary alternatively we can visit the backside to access Maya Bay, in case for very low tide, for amazing picture shooting). Phuket Premium Phi Phi Islands Tour by Speedboat. 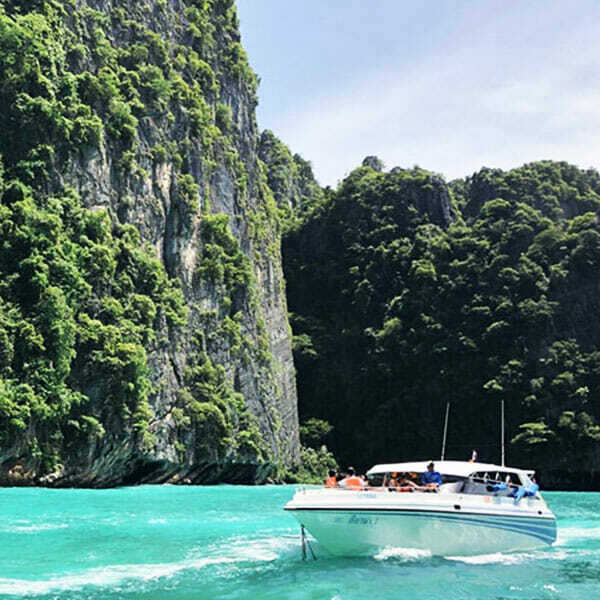 Phi Phi Island by speedboat is an astounding full day trip by speedboat, from Phuket to Phi Phi you will reach all best scenery and spots for swimming and snorkeling. This speedboat tours are the absolute best in terms of reaching shallow waters and docking directly on the beaches to make you fully enjoy every single place without hassle. Visit (sigtsee from 1st of June to 30 September) Maya Bay, Monkey beach, Viking cave, Pileh Lagoon, Phi Phi Don, Khai island. Enjoy a great variety of choices with snorkeling gear always your disposal for free. Enjoy this tour ride on premium speedboats with Professional Tour Guide and experienced Crew and Captain on board with you and always at your service! Enjoy most useful Phi Phi island tours together using included transfers from your leaving point to the departure pier and back (Hotel transfer round trip). Phi Phi Islands Khai island top excursion also supplies all comprised yummy buffet lunch at beach restaurant, drinks, tea and coffee, drinking water and national park prices, life-jacket, free equipment for snorkeling in the amazing locations, excursion guide and insurance! 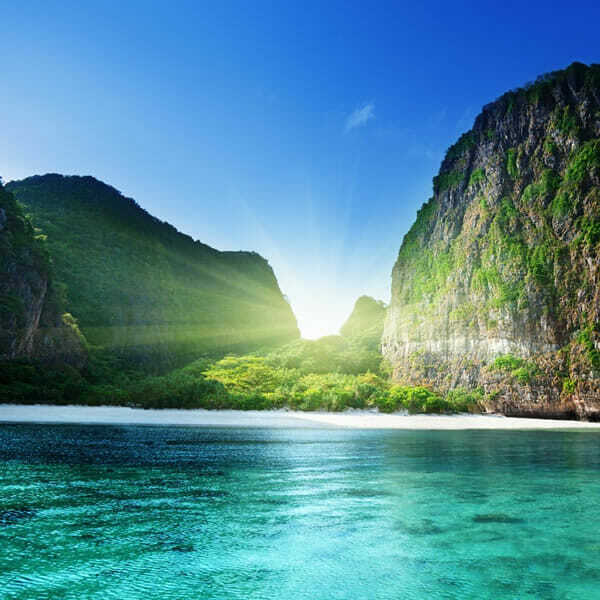 Phi Phi Island tours would be the ideal approach to reach Phi Phi from Phuket to get a top day trip and see and sight visit Maya Bay, Monkey shore , Viking cave, Pileh Lagoon, Phi Phi Don, Khai island. Phuket to Phi Phi route will take approximately 60 minutes. Free Transfer from / to Hotel is included for these Areas: Patong, Kalim, Kathu, Kata, Karon, Phuket Town, Kamala, Surin, Bang Tao, Laguna. Transfers Fee is not included from: Chalong, Rawai, Layan, Panwa, Siray Bay., the Transfer Fee is of 200 THB per Person and will be paid in cash during the tour. 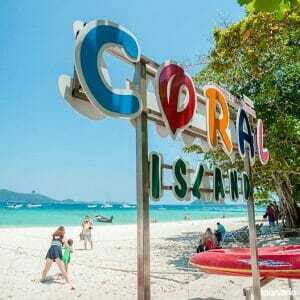 While the Hotel transfer costs Only 200 Thai Baht extra charge per person from: Chalong, Rawai, Layan, Panwa, Siray Bay. Extra charge will be paid in cash during the tour.